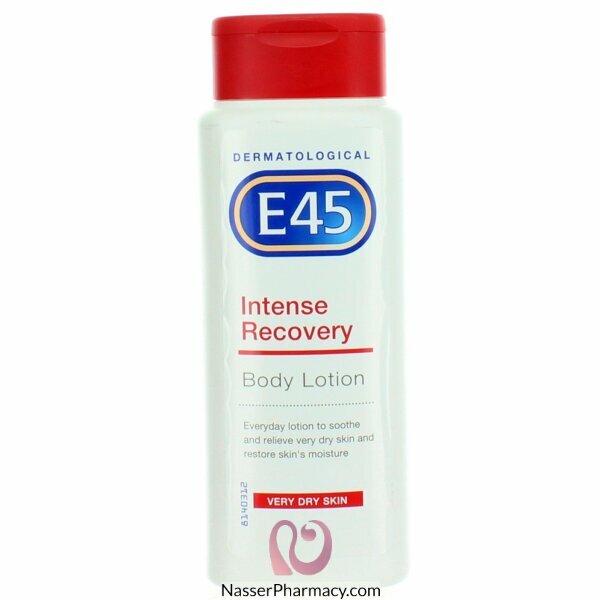 E45 Intense Recovery body lotion is specially formulated to help support your skin's natural moisture recovery, improve skin health and restore long-lasting softness in just two weeks. Enriched with intense moisturisers, the formula developed by the skin care experts at E45 soothes, protects and restores. The gentle, perfume-free formula replenishes moisture to soothe dryness and smooth away roughness, protecting dry skin against moisture loss. Use as often as required on hands, body and face, to keep dry and sensitive skin soft, supple and moisturized.